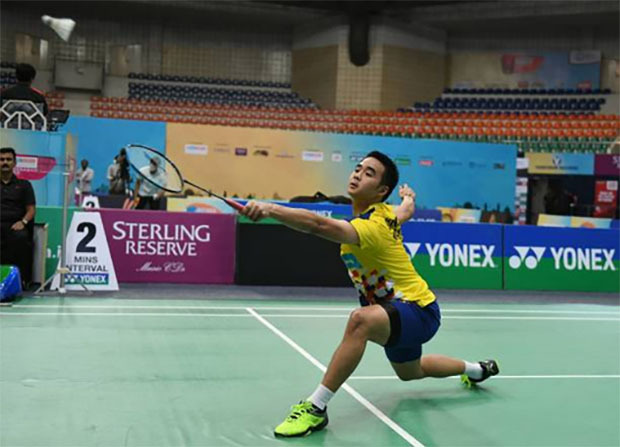 Hyderabad: Malaysian men’s singles player Soong Joo Ven and women’s doubles pair Vivian Hoo/Yap Cheng Wen have made it to the Hyderabad Open final that was held at the GMC Balayogi Indoor Stadium on Saturday. The unseeded Soong rallied from 3-7, 6-9 to gradually take control of the first set, winning it 21-17 against No. 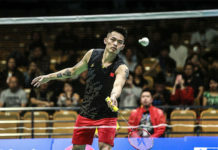 7 seed Firman Abdul Kholik of Indonesia in the semi-final. 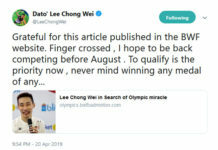 Soong was slow off the blocks in the second game, but found his range as he surged ahead to book a ticket to the final by claiming the second game 21-14. He will take on No. 1 seed Sameer Verma of India on Sunday as the Indian shuttler came from behind to beat compatriot Gurusai Dutt 16-21, 21-15, 21-11. 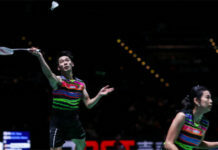 In women’s doubles competition, Malaysia’s unseeded Vivian Hoo/Yap Cheng Wen outlasted No. 6 seeds Yulfira Barkah/Jauza Fadhila Sugiarto of Indonesia 16-21, 21-11, 21-14. They will battle No. 5 seeds Ng Tsz Yau/Yuen Sin Ying of Hong Kong in the final. Men’s doubles No. 5 seeds Mohamad Arif Ab Latif Arif/Nur Mohd Azriyn Ayub Azriyn retired half way through the second set, handed the semi-final match to Indonesia’s No. 3 seeds Akbar Bintang Cahyono/Moh Reza Pahlevi Isfahani 21-14, 15-10.